When panic sets in during the last week in November at Riot Towers as we realise that High Fives has crept up unnoticed once again, the first person we contact is Neil Sheasby, bass player and co-songwriter with the brilliant Stone Foundation. He’s always happy to contribute, he’s passionate about music (his own and other people’s) and he’s a bloody good bloke. And his contributions are always worth reading and following up, so here’s the 2017 line-up. And, by the way , Neil, congratulations on a brilliant year. I don’t think I could have imagined in my wildest dreams that an album created by the guy from Bombay Bicycle Club would have ended up being my favourite and most played record of the year. I’m always wary of side projects too (see Tin Machine) but this really is a complete piece of work from beginning to end. It actually got better and better the more I played it. I caught them on their tour too at Shepherd’s Bush Empire and they were fantastic live too, a real modern soul vibe. We we’re fortunate enough to find ourselves performing on some prestigious platforms this year, none more so than the Royal Albert Hall back at the start of March. It really felt like a turning point for us, there we were rubbing shoulders with the likes of Roger Daltrey, Ronnie Wood, Paul Weller, Kelly Jones etc…..and it just seemed a natural step up, we didn’t get over awed by the occasion or even nervous, it just felt like an opportunity that we were fully prepared for. It was a real thrill to play in such a setting, the gig itself was organised by and in aid of Teenage Cancer Trust, prior to our slot just after we’d soundchecked we were invited to attend a music workshop where teenagers whose daily lives are affected directly by the threat of Cancer were gathering in a hall creating and producing a joyous sound, it reminded me that even in the face of such adversity and testing moments that music and that outlet of creativity is such a positive force. Young kids whose everyday lives are compromised by the risk of cancer united in a celebration of sound. I found it incredibly inspiring and moving. Certainly one of the most memorable performances I witnessed all year. 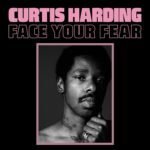 Second album from Curtis Harding and since it came into my orbit I’ve played it endlessly. Once again I think it’s a very complete piece, the songs and sound of the record really hang together well. It’s not really a straight ahead Soul album, it reminds me slightly of Terence Trent D’arby at his creative peak although it’s probably unfair of me to draw comparisons as this is very much it’s own thing. 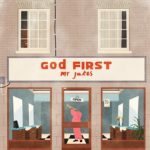 Real strong collection of tunes that sound kind of timeless. One of the main reasons I enjoy playing at festivals is that it affords the chance to catch other artists. 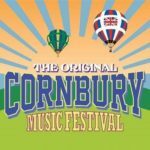 Two real highlights of my summer were Cornbury festival in Oxfordshire, which was a rather upmarket affair (they even had a Waitrose on site! ), there was a real good vibe around the whole place, I had preconceptions of it being a bunch of toffs sipping spritzers just there for the ticket and jolly up but it was quite the opposite, you could tell people were really into the music, it was definitely our best gig of the festival circuit. I enjoyed it so much that I went back the next day where I caught The Pretenders who just tore through a greatest hits set, I’d kind of forgotten how fantastic they were/are…. Seeing Solange at Glastonbury was fairly mega too. My son bought me it for my birthday back in October, for some reason I thought I was going to hate it, not sure why because obviously I love the subject matter and I quite like Dylan Jones as a journalist, maybe I was thinking it would be a bit kiss and tell, gossipy kind of affair but it turned out to be one of the most fascinating, revealing documents that I’ve read on Bowie. It’s drawn from hundreds of interviews with close associates, friends, lovers, rivals, musicians…. It gets close to the core of the real Bowie.